Pentecost is the “birthday” of the Church, or so we often hear. It’s a simple image, it sounds nice, and it’s easy to remember. The only problem is that it’s not accurate. In fact, I’d suggest that it introduces confusion into some very important biblical and theological concepts. 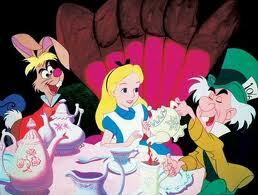 It brought to mind the classic scene from Alice in Wonderland in which the Mad Hatter throws an “unbirthday” party. Their intent was to celebrate specifically because it was not your birthday. So why isn’t Pentecost the “birthday” of the Church, and what, then, is it? A very merry unbirthday to us. To who? To us! Pentecost is not the birthday of the Church because the Church has existed throughout the ages and in both administrations of the covenant of grace (i.e. the Old and New Testaments). That becomes evident once we properly define ‘Church’. The Church is all those whom God has called to himself in Christ and who, in turn, place their faith in the promises of God–namely that there would come a Messiah who would bear our iniquities and reconcile us to God. This is why Paul said, “If you belong to Christ, then you are Abraham’s seed, and heirs according to the promise.” (Galatians 3:29). Saints in the Old Testament were saved through anticipatory faith in the very same Messiah to whom we now cling in faith. Therefore, they were–and are–a part of the same Church as us. We believe and confess one single catholic or universal church–a holy congregation and gathering of true Christian believers, awaiting their entire salvation in Jesus Christ being washed by his blood, and sanctified and sealed by the Holy Spirit. And this holy church is preserved by God against the rage of the whole world, even though for a time it may appear very small in the eyes of men–as though it were snuffed out. For example, during the very dangerous time of Ahab the Lord preserved for himself seven thousand men who did not bend their knees to Baal. It’s significant to note the confession’s statement that the Church “has existed from the beginning of the world and will last until the end” and that the one and only example from Scripture used is from the Old Testament. This serves to disabuse us of the false notion that the Church ‘came into being’ at Pentecost. Because the Church consists of those whom God has chosen in Christ before the foundation of the world (Ephesians 1:4), it should be obvious that this simply cannot be the case. Pentecost was the time when the Spirit descended upon the Church in power, inaugurating God’s promise to one day personally indwell his people (Jeremiah 31:31-34). It was the beginning of the reversal of the curse of Babel (Genesis 11), when people were scattered and their languages confused, as God gathered his people and spoke to them in their various languages. It was the time when Jesus’ promise to be with his people to the very end of the age (Matthew 28:20) found full expression as the Spirit united believers to the Risen Lord by grace through faith. It was the time when the Church received the means by which she can fulfill her commission to bear witness to the one who was dead and is now alive forevermore “in Jerusalem and in all Judea and Samaria, and to the end of the earth” (Acts 1:8). As we celebrate Pentecost this coming Sunday, let’s give thanks and praise to God for what it is. But let’s also understand what it is not.